Have Rosie come to your school! She and her Franklin friends will help you learn about the importance of insects to our environment and what we can do to play a part in taking care of our earth. Franklin Pest Solutions started in 1929 with a passion for environmental science, so it's no surprise that our company is just as interested in promoting pollinator awareness as it is in protecting your home and business from more invasive, property-damaging pests. 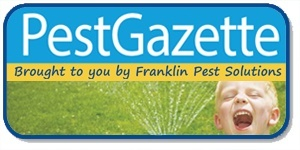 Franklin Pest Solutions wants to teach youth that everything on our planet has a place and a purpose. 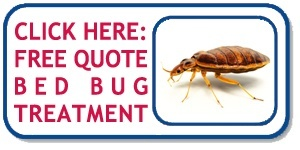 Even the most costly of pests, the termite, is an important player in our ecosystem. With their unique digestive systems, termites that live in the forest turn decaying wood into nitrogen rich waste to be used as precious nutrients that support plant life and growth. Goudy Technology Academy kindergartners were in for a real treat when manager John Bombard visited with pet cockroaches in tow. Some children were braver than others, and some just braver than they thought, when it came to touch the Madagascar hissing cockroaches for themselves. While demonstrating the differences between good bees and the kind of bees to watch out for, Ms. Iaccino taught first graders just how important honey bees are. One third of our food comes from pollinators and honey bees alone account for 80% of pollination. By connecting children to nature we empower them from a young age to appreciate life, learn from experience, and take responsibility for their impact on others. If you are looking to have a guest speaker come to your classroom to teach your students about environmental awareness, reach out to Franklin Pest Solutions. Use the buttons below to stay in touch on social media or to get a free quote for your home or business.